When David Watring first underwent surgery to correct his parastomal hernia in April 2013, he had no idea what road the surgery would take him down. Several years and several surgeries later, Mr. Watring not only continues to suffer complications, but he may be left with irreparable damage. A parastomal hernia occurs when some of the abdomen’s contents protrude through a weak part in the abdominal wall. To fix Mr. Watring’s parastomal hernia, doctors used a type of synthetic mesh, called Physiomesh, to repair the hole in his abdomen. At the time doctors implanted Physiomesh, they were unaware this particular type of hernia mesh actually has higher rates of failure than other devices. Just five months after the initial placement of Physiomesh, Mr. Watring experienced a recurrence of his hernia and had to undergo another surgery. During the operation, doctors discovered the hernia had not only reoccurred, but had also gotten worse in severity. Parts of Mr. Watring’s small intestine were now protruding from a hole in his abdominal wall. Again, Physiomesh was used to repair the weakened parts of the abdominal wall. Unfortunately for Mr. Watring, this was not the end of his Physiomesh complications. In March 2016, he again suffered a recurrence of his hernia and had to undergo another surgery. This surgery was much more complicated than the previous two surgeries, and Mr. Watring still suffers damage from the hernias that may be permanent. Just two months after Mr. Watring’s third hernia repair surgery, the manufacturer of Physiomesh, Ethicon Inc. (a subsidiary of Johnson & Johnson), voluntarily withdrew the mesh product from the market after two large hernia repair registries found Physiomesh had an unusually high rate of hernia recurrence. This recall has come far too late for patients like Mr. Watring, who is quickly running out of options for hernia repair. 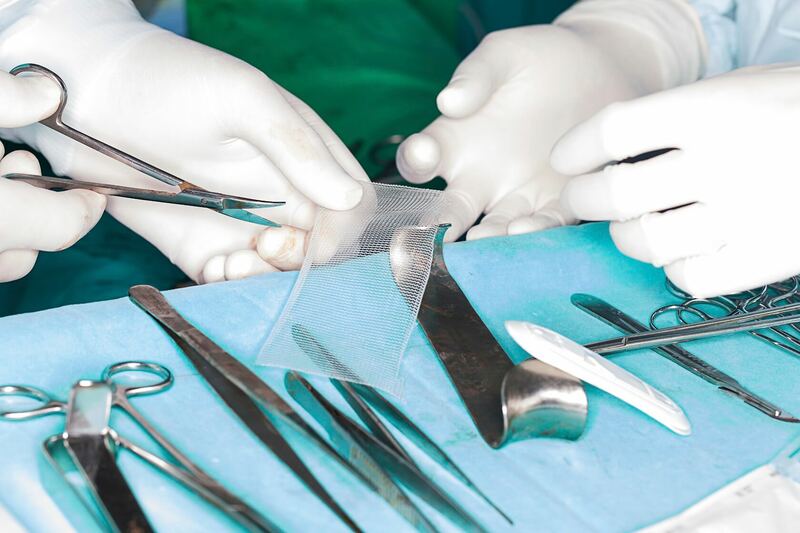 In most hernia repair operations, each surgery required to repair the hernia greatly decreases the likelihood of preventing further recurrences. Mr. Watring filed a lawsuit against Ethicon and Johnson & Johnson alleging the companies produced a defective device and failed to properly warn patients and doctors of its dangers. While it will be some time before Mr. Watring’s case makes it to trial, the first Physiomesh lawsuit is scheduled to go to trial in January 2018.